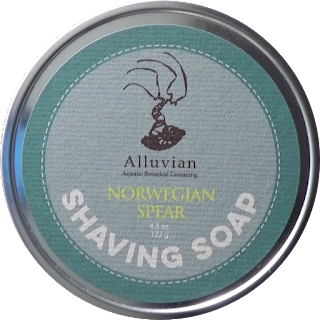 Back in May John Cowan the owner of Alluvian announced on Facebook that he wanted to give out some samples of his products so I sent him a message expressing my interest and requested to try the Norwegian Spear shaving soap. After waiting a week without a reply I sent the message again but still no answer. So I thought I missed my chance and didn’t pursue it any further . Then on August 27th almost 4 months later John accepted my message request. It turns out a message filter had prevented my request from getting through to him. I told him it was ok and no worries I figured after 4 months the samples must have been gone but he really wanted to send me something so last week a package arrived. John selected additional products along with the shaving soap I wanted and creating a gift box that was such a surprise. The box itself was unique which reflects the company's direction in being committed to uncompromised social and environmental practices. You see the box was made of 100% recycled materials and 100% plastic free even the tape sealing the box was 100% recycled. Now that’s commitment. When I opened the box I received three items first the requested shaving soap, a bar soap in the same scent and lastly a jar of rejuvenating after shave serum. One note about the bar soap it was neatly wrapped in what appears to be a page from a dictionary very cleaver. The shaving soap comes in a 4.3oz tin with a push on lid. The labels on the bottom and top appear to be made of paper but had no effect with water so no damage was done. The opening has plenty of room to load your brush if you’re not into bowl lathering. 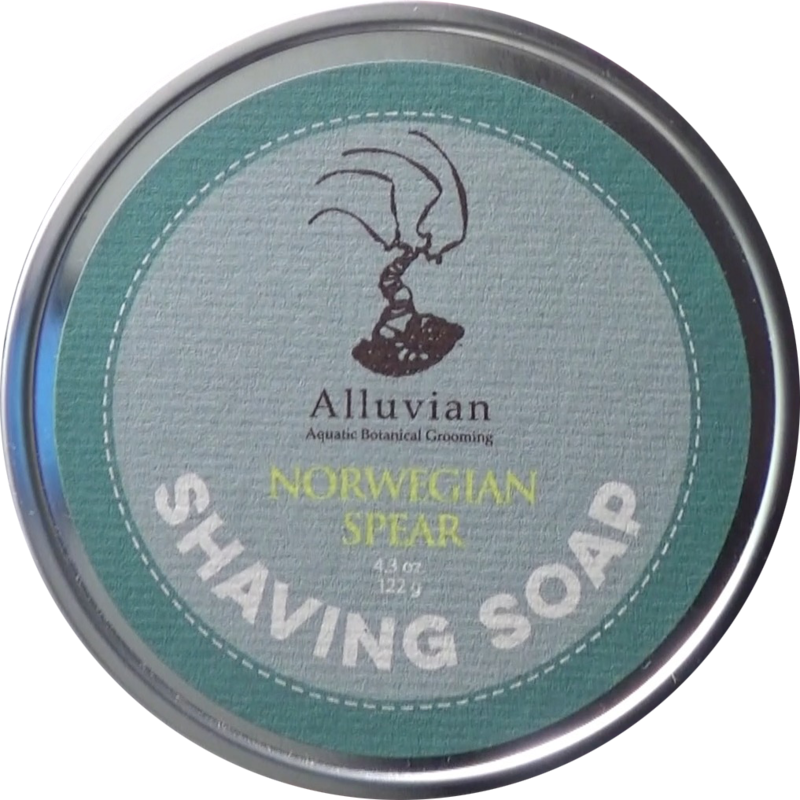 Spear is for spearmint and that’s certainly true with this soap. Not so strong that it fills the room but the spearmint seems to dominates over the other notes. Here is how the website describes the scent. Warm and spicy, with robust undertones of wild spearmint and neroli. 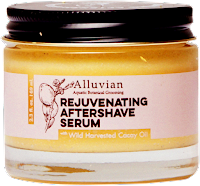 Ingredients includes Stearic Acid, Water, Castor Oil, Potassium Hydroxide, Coconut Oil, Kokum Butter, Palm Kernel Oil, Sweet Almond Oil, Sodium Hydroxide, Avocado Oil, Essential Oils, Irish Moss and Bentonite Clay. For this shave I used my German 37 slant from RazoRock and Zen shave custom brush. I had no issues placing the soap into my lather bowl the texture was soft and pliable. Once this was done I ran my brush under warm water and empty it into the bowl and began to lather. 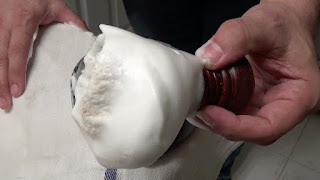 In a few seconds I started to see suds which turned into a nice creamy lather a minute later. The coverage was good and held on to the 5-day old beard with no problems. The slickness and glide allowed my slant to glide effortlessly over my face. The post shave feel was also very good as well. 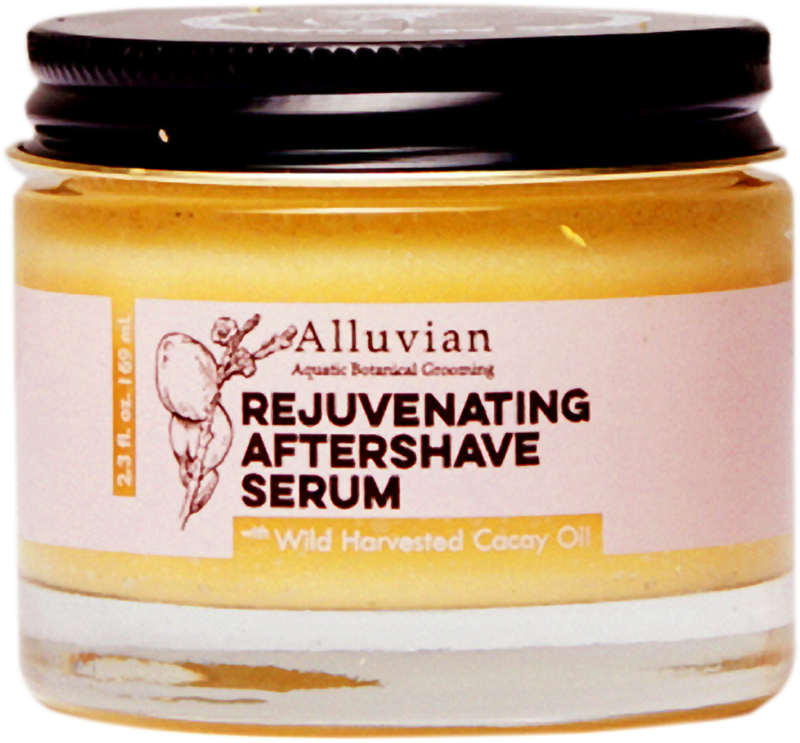 So I really had a great time trying Alluvian products. I had no issues with the shaving soap and the scent was a spearmint lovers dream. The big surprise came from the aftershave serum what an amazing product. I’ve used it three times already and I do believe it's helping my skin. I just wish it was a little cheaper.